This week (May 11 to 17th) is being observed as Reef Week on the islands of Caye Caulker and Ambergris Caye. 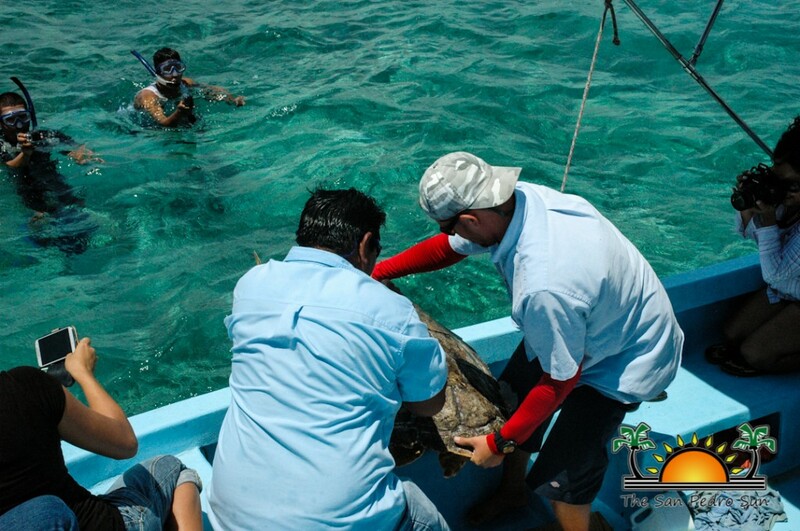 Several activities were planned for both islands by Hol Chan Marine Reserve under the theme “Our Reef Needs Our Protection for Future Generations.” One of the highlights was the release of two marine turtles that had been rescued and kept for months as part of their rehabilitation. Lucky, one of the two female loggerheads (Caretta Caretta) was rescued back in October 2013 by tour guides of Tuff E Nuff Tours while on an expedition at sea. The adult marine turtle was missing her left hind flipper and had several lacerations on its other flippers due to a shark attack. Lucky also had a broken plastron (the belly of the shell) and underwent surgery where veterinarians at Saga Humane Society did all within their reach to save her. Despite the slim chances of survival given to her, the 22-inch turtle made a full recovery and is now strong enough to survive the sea. The turtle was given the name Lucky since she was able to overcome her health complications and fought with resilience to survive. Meanwhile Ellen was brought in from Placencia (southern Belize) in February 2014 after she was found by a tourist who found the weak, stranded reptile on the beach. 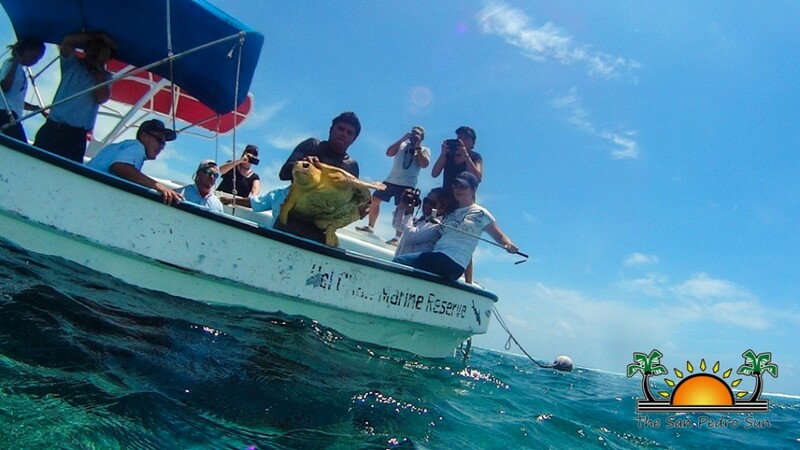 Authorities were notified and Ellen soon became a resident at the Hol Chan Marine Reserve office, where the crew from the Ambergris Caye Marine Turtle Monitoring Program cared for the adult female loggerhead. 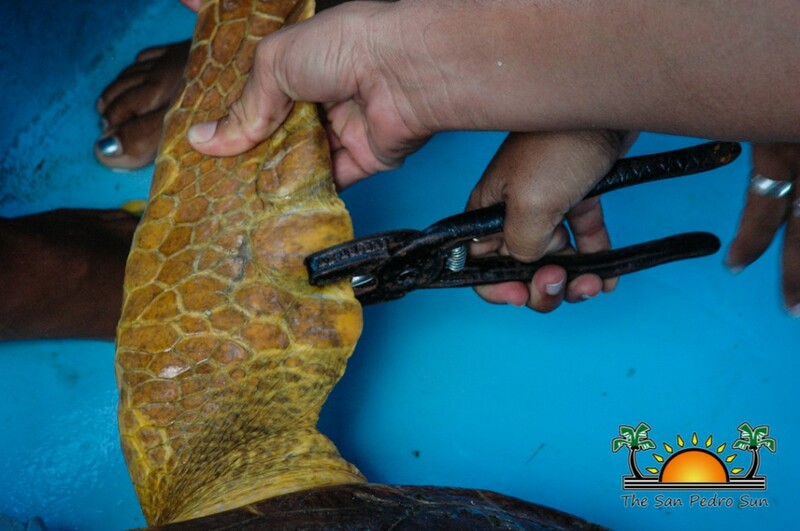 The loggerhead, who measures 71 inches, had ingested waste material and after undergoing a series of treatments, was able to pass the swallowed materials and soon made a full recovery. Ellen was named after the Minnesota, USA tourist who found the ailing animal on the beach. Once the turtles were both tagged, measured, samples extracted for genetic analysis as part of the turtle data base, they were released at Shark Ray Alley within the Hol Chan Marine Reserve located between Ambergris Caye and Caye Caulker. 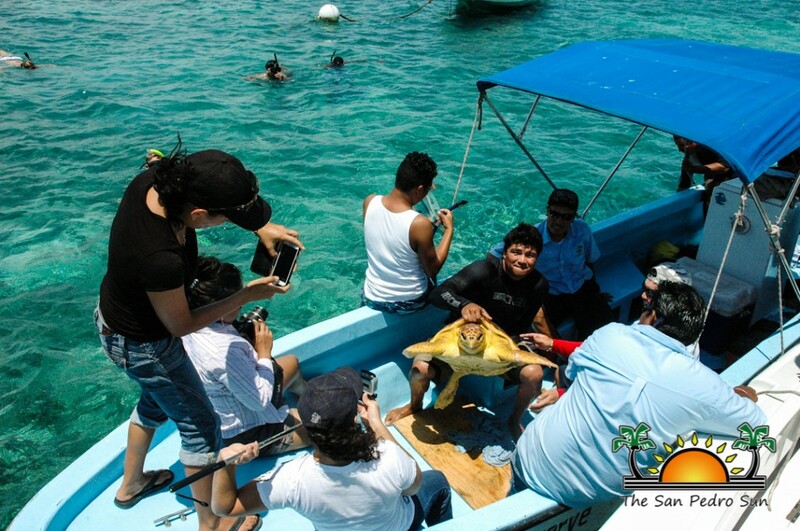 Ariel Valdez of Tuff E Nuff, one of the tour guides that found Lucky, was invited to release the turtle, now missing a back flipper. 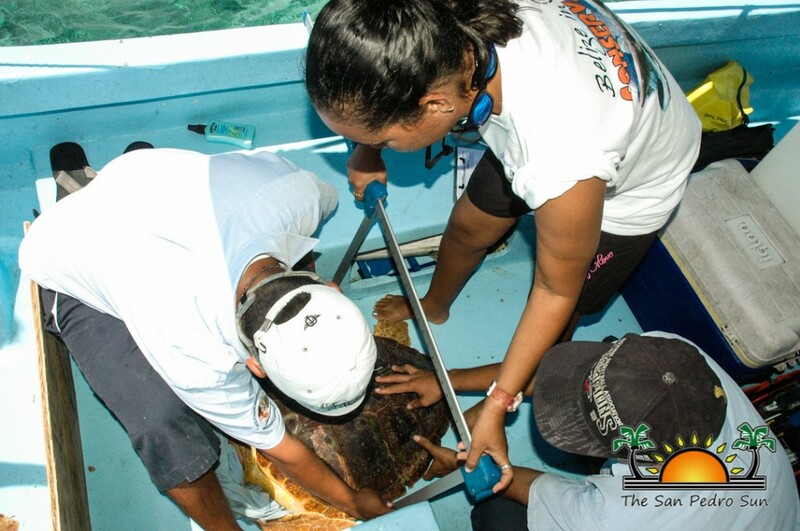 Meanwhile Hol Chan Marine Reserve rangers assisted in releasing Ellen, who was anxious to return to the Caribbean Sea. 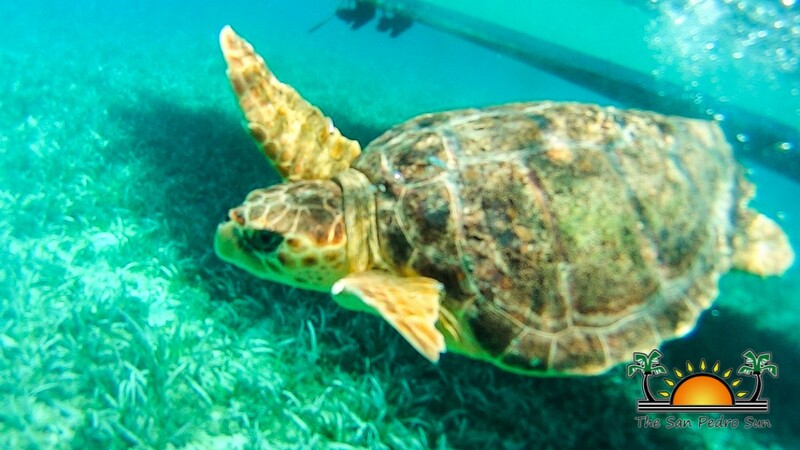 Two of the main species of turtles that are known to nest on Ambergris Caye are the loggerhead and the green turtle (Chelonia Mydas). Turtle nesting season runs from May to late November with International Marine Turtle Day celebrated on May 25th.